Jamshedpur, Dec. 27 (The Telegraph): Corporate honchos today emphasised on the need to develop a “socially responsible course” in B-schools. Over 70 senior executives expressed this opinion while attending a panel discussion in XLRI on “Industry, global business trends and implications for B-school” organised by the alumni cell. “There is a need to develop a comprehensive course structure keeping in mind the needs of today’s society. B-schools need to move from producing managers to producing social entrepreneurs,” said Rekha Menon, the executive director with Accenture. Other panelists included Bijou Kurien, CEO of Reliance retail wing; Anita Modak from the Narsee Monjee Institute of Management Studies; C Selvan, Global Head of Innovations, British Petroleum; and Anup Kuruvilla, director (global loan products) of Salomon Smith Barney. 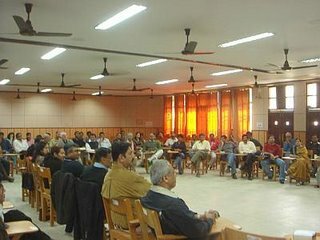 The session with the alumni was organised as a part of XLRI's initiative to review the syllabus and structure of its programs. 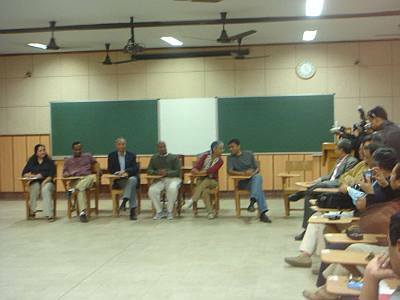 “We are in the process of looking into the curriculum (at XLRI). In fact, we are looking for a course structure that is in tandem with societal needs,” said Sharad Sarin, professor of marketing and general management at XLRI and the moderator of the panel discussion.